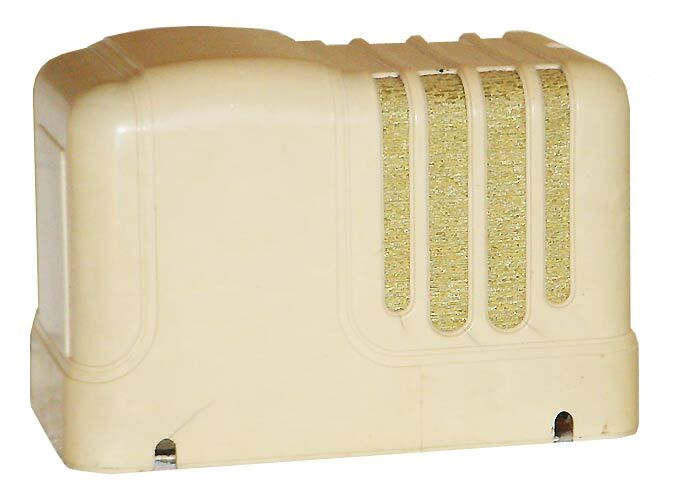 One of the most elegant radio cabinet designs, this Goodyear Wings 602 was produced by Belmont Radio Corp. for the Goodyear Tire & Rubber Company. Belmont also produced similar radios for other brands including Truetone. The Belmont branded versions were named the "Scotty" for reasons I do not know. 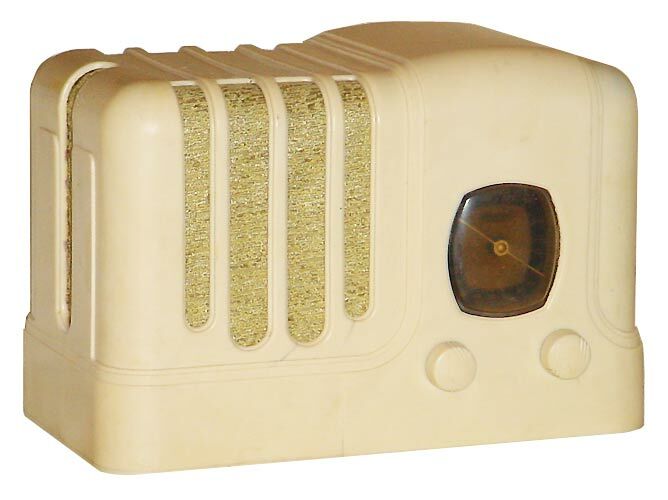 The radio design is similar to a standard AA5 AM superheterodyne enclosed in a nice cabinet that is symmetric from front to back and was offered in different cabinet colors including black or walnut bakelite, and ivory plaskon as shown in this example. The cabinet style was also used in other similar models such as the Belmont 526 with a vertical slide rule dial and pushbuttons in place of the airplane dial seen on the model 602.